Welcome to AMS HP eNews for doctors and other healthcare professionals who have a special interest in women's health. The content covers information and resources relevant to menopause, midlife and the promotion of healthy ageing. 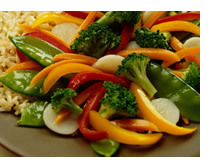 In this US study results suggested that long-term, high intake of vegetable protein from such foods as whole grains, soy and tofu, may protect women from early menopause and could prolong reproductive function. Consuming enriched pasta, dark bread and cold cereal were especially associated with lower risk, while the researchers observed no similar relation to eating animal sources of protein. The primary goal of the study was to understand why some women are more vulnerable to depression, even though all women experience hormone fluctuations. The study included more than 1,300 regularly menstruating premenopausal women aged 42 to 52 years at study entry. Previous research has shown that women with early onset of menopause (age below 45 years) have an increased risk of cardiovascular disease (CVD) and overall mortality, whereas an onset of menopause at age 50-54 years is linked to a reduced risk of CVD and mortality. While the increased risk is thought to be due to the adverse effects of menopause on CVD risk factors, the influence of age at menopause on these risk factors remains uncertain. The authors concluded that early onset of natural menopause is an independent marker for type 2 diabetes in postmenopausal women. In this Australian study the researchers evaluated the knowledge and attitudes of Australian health professionals (HPs) including general practitioners (GPs), gynecologists and endocrinologists, to menopausal hormone therapy (MHT). 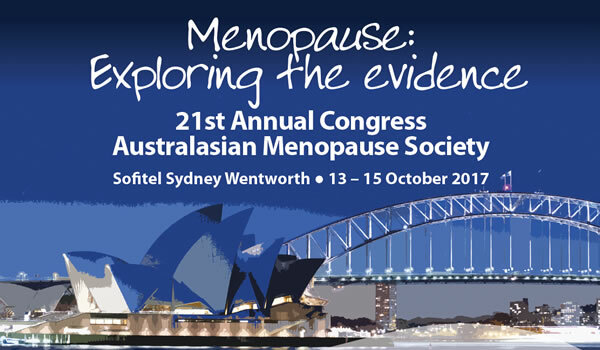 The members of your local organising committee are delighted to invite you to attend the 21st Congress of the Australasian Menopause Society. This year's congress will be held at the Sofitel Sydney Wentworth from Friday 13th to Sunday 15th of October. It promises to be a ripper! Registration for AMS 2017 is now open. For more information, please visit the conference website www.ams2017.org/registration. The preliminary program is available online, please click here www.ams2017.org/program-2/scientific-program/ to view. 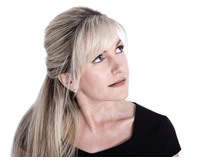 Join us for an unforgettable night of great entertainment with Dr V’s Swing Thing 22-piece Big Band (click here to see the band) and a talk on “The Disappearing Woman” by social researcher and bestselling author Hugh Mackay. Cost: $149.00 and can be booked through your online profile during registration. We look forward to seeing you at the Congress in October. 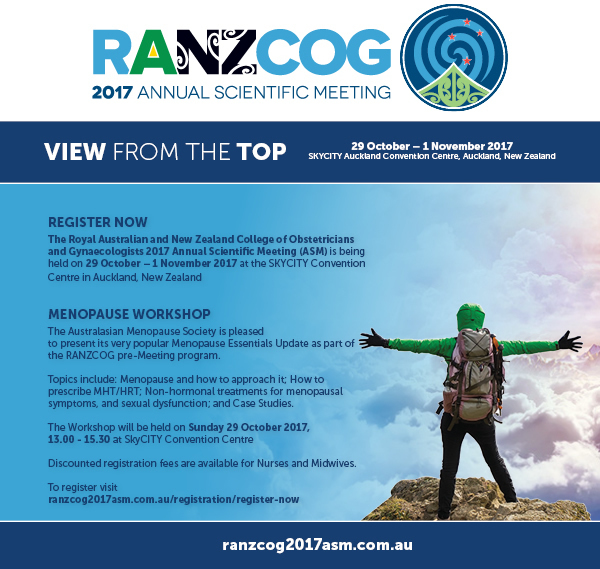 Presentations from the 2016 AMS Congress held in Perth are now available for viewing (AMS members only access). See Dr Michael McClung, Founding Director of the Oregon Osteoporosis Centre, who is an internationally recognized expert in the fields of osteoporosis and bone density testing discuss the latest in osteoporosis management. Question: A 27-year-old woman presents with severe hot flashes and night sweats secondary to primary ovarian insufficiency (POI) and from early menopause after chemotherapy for treatment of Hodgkin lymphoma. What is the best treatment approach? Case: A 52-year-old premenopausal woman presents for her annual physical. Two weeks ago she had her annual mammogram, which was reported as negative for breast cancer but mentioned “extremely dense” breasts. She has heard that increased breast density increases her risk of breast cancer. She would like to understand the effect of breast density on her individual risk of breast cancer and learn what steps she can take to lower her individual risk. How do you counsel her? Double-blind randomized studies on the effects of oral postmenopausal hormone therapies were stopped mainly because of increased risk of stroke. We aimed to assess the risk of all strokes and various subtypes associated with hormone therapy and explore the influence of regimens and routes of administration. Longevity in women and reproductive factors? In this ageing world, the field of the 'epidemiology of longevity' has been expanding rapidly in recent years. With a dramatic increase in survival rate to advanced old age over the past century, longevity can be described as an epidemic. Many studies have evaluated the impact of factors such as low socioeconomics in childhood, genetics, environmental, dietary and lifestyle (smoking and alcohol use), which negatively affect longevity. Although mortality rates for females are lower at each age than those of men, a close association between reproductive characteristics and longevity was recently documented. Pharmacogenomics is the study of how genes affect a person's response to drugs. This relatively new field combines pharmacology and genomics (the study of genes and their functions) to develop effective, safe medications and doses that will be tailored to a person's genetic make-up . Many drugs that are currently available are 'one size fits all', but they don't work the same way for everyone. It can be difficult to predict who will benefit from a medication, who will not respond at all, and who will experience negative side-effects. Pharmacogenomics aims to develop rational means to optimize drug therapy, with respect to the patient's genotype, and to ensure maximum efficacy with minimal adverse effects. Since its launch in 2008, the web-based fracture risk assessment tool FRAX®  has been evaluated thoroughly in additional validation studies and widely published in meta-analyses and clinical review papers. Furthermore, its predictive and discriminative powers have been compared with other osteoporotic fracture risk prediction tools .